The massive book reviewer School Library Journal has just published their review of Caught Offside! We’re happy to be able to run Jessica Bushore’s full piece here. Enjoy! Montalbano, Andrea. Caught Offside. 176p. (Soccer Sisters: Bk. 2). Jabberwocky. Oct. 2017. pap. $7.99. ISBN 9781492644842. 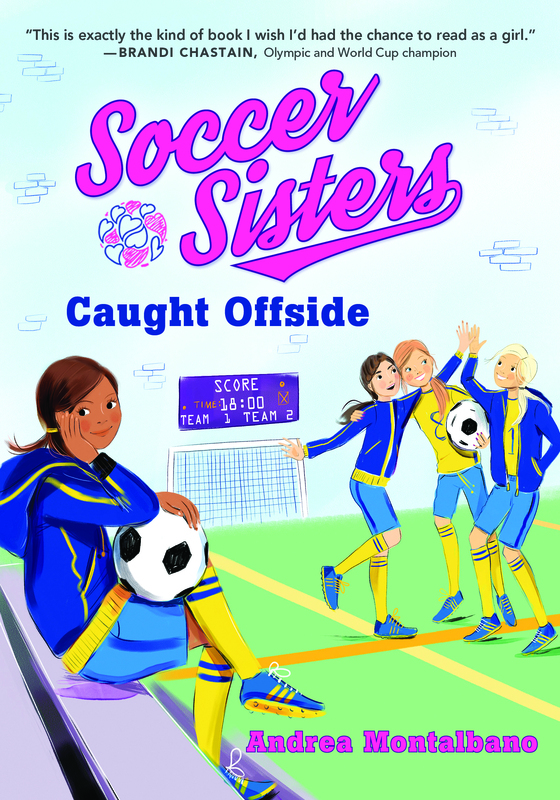 Gr 3-6 – The “Soccer Sisters” return with a story about putting one’s values and self-worth before the callous opinions of others. Val and Makena are best friends. They come from different towns; Val from working class Highland Ferry and Makena from affluent Brookville. Many residents of Highland Ferry work for the families of Brookville, including Val’s father. But Makena would never put her friend down for their differences in circumstance. Other team members like Jessie are not as considerate. Singling Val out for her Mexican heritage and financial differences, Jessie tells Val she’s no longer welcome on the team. Val also wonders if Makena’s newfound interest in the upcoming Snow Fairy Dance signals a change in their friendship.